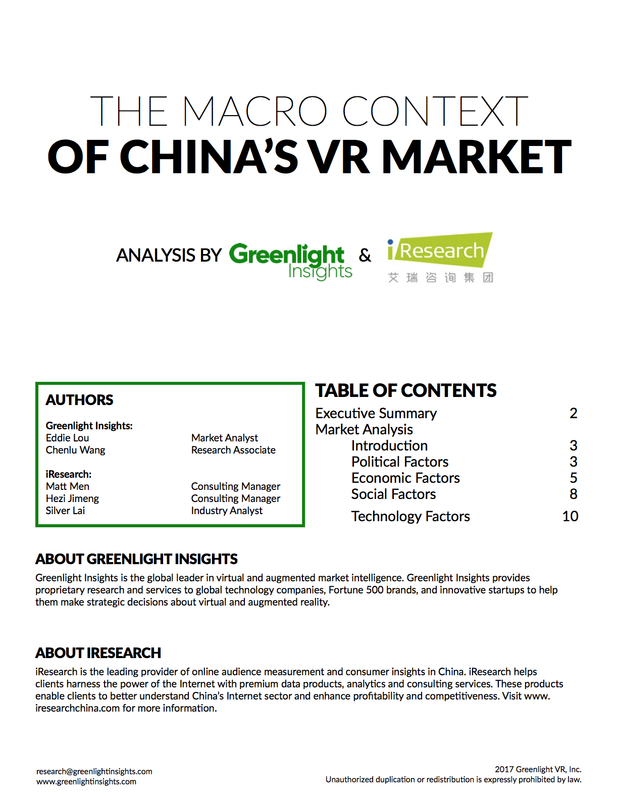 This in-depth market report offers proprietary insights on the China Virtual Reality Industry including everything you need to know about hardware unit forecasts, market revenue forecasts, industry & technology analysis for industry executives. 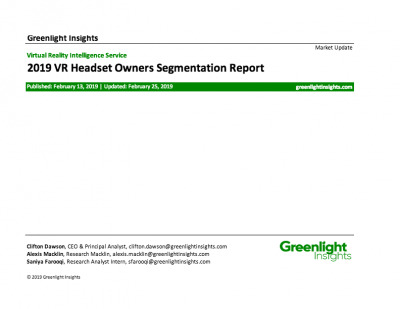 Greenlight Insights market reports covers news, economics, and insights on the virtual and augmented reality industry. Since June 2015, Greenlight Insights has published the annual Virtual Reality Industry Report with the editorial contributions of the leading media, research firms, and industry experts. This report is researched and written with iResearch (iresearch.com.cn), a China-based firm focusing on in-depth research in China's internet industry.